Right Now there's a lull in the weather, but we're expecting another round of storms starting Tuesday through possibly Thursday. That means wet, slick roads in the valley, accidents and traffic delays. If you're in the foothills or mountains, ice and snow will no doubt impact your travels. The best way to keep up with the most up to date road information and conditions is the Caltrans App called QuickMap. 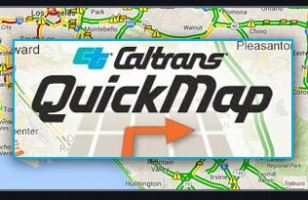 With the QuickMap app you will have access to real time traffic information including traffic congestion and CHP incidents, road closures, chain control information, changeable message signs, and the most current traffic speeds on freeways and most state maintained roadways. 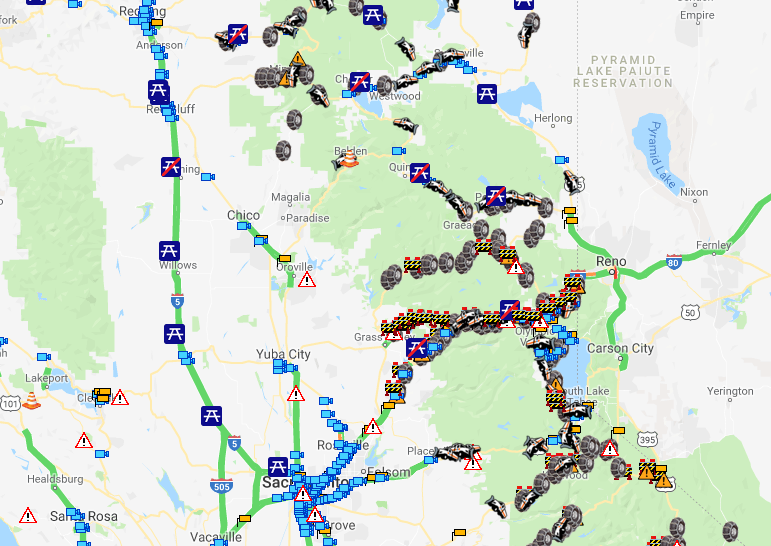 You can also see where Caltrans drivers are operating plows and where Caltrans maintained rest areas are along your travel route. Before, you had to visit two or three websites and call a couple different numbers to get all this information. Now you can get all this valuable time and (depending on conditions) potentially lifesaving information all in one convenient place. Your smartphone with the QuickMap app. To get Quick Map on your smartphone or tablet, simply use your phone to log on to the Apple App Store or Google Play download and install on your phone today before the next storm hits. If you are using your desktop or laptop you can also access QuickMap here.